There are really times when girls wanted to isolate from the world of gents and just do their own thing. There are also things that men cannot understand about women, for we are born distinctly from each other. Also, there are times when girls cannot understand the thing about guys. Thus, there are certain activities that are intended for men alone, and some for women alone. 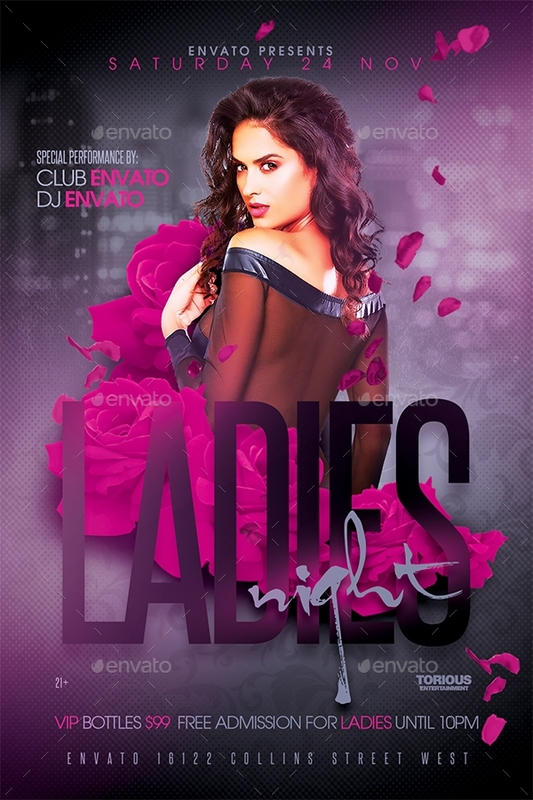 However, there are also events in which it is called ladies’ night because ladies are given more privileges over men. But, this has been debated all over the world since this is said to be gender-biased, prioritizing women over men. So, for the sake of fairness and equality, in this article, we will be talking about the ladies’ night in which only women are involved. For men, they can do their gentlemen’s night, too. 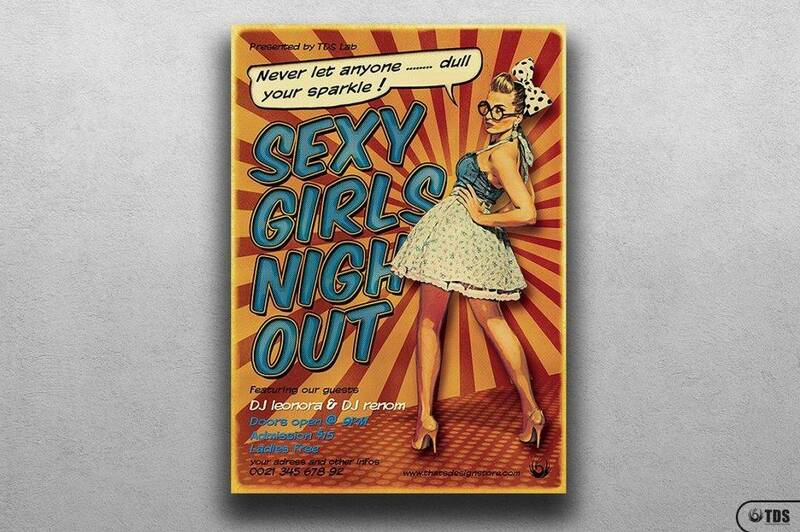 You may also see the party flyers. 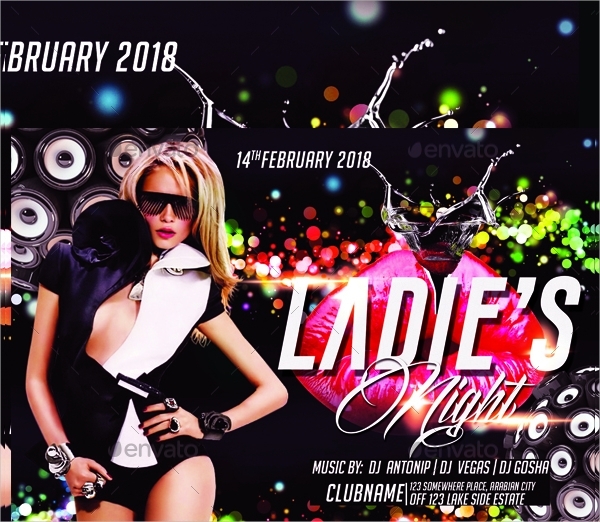 The ladies’ night event must be planned and prepared ahead, especially when it will be launched in public areas and when the target market is girls in the city. The event must be organized well and advertising plans and promotions must also be disseminated. To effectively and efficiently share the information and promote the event, organizers must consider the use of flyers, a time-tested marketing strategy which is also among the most convenient, less costly, and easy-to-distribute advertising tool. 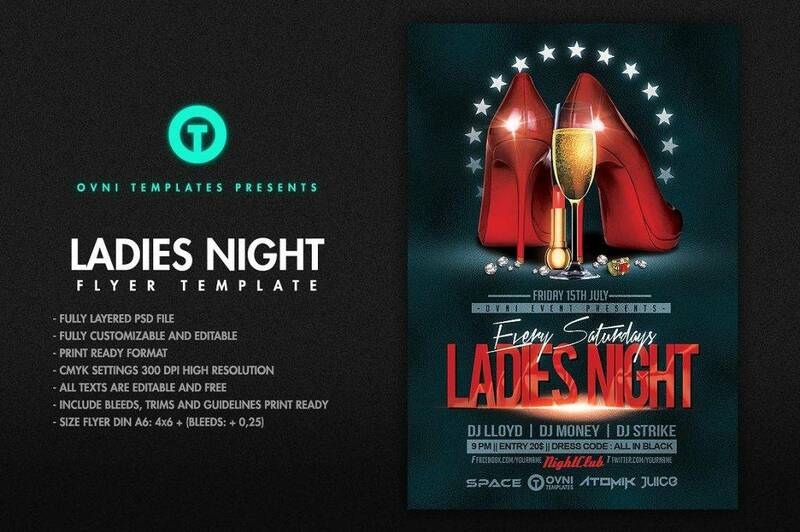 If you are considering to have your own ladies’ night flyer design, you can choose various designs below. Pick the one which you think is most suitable for your event. 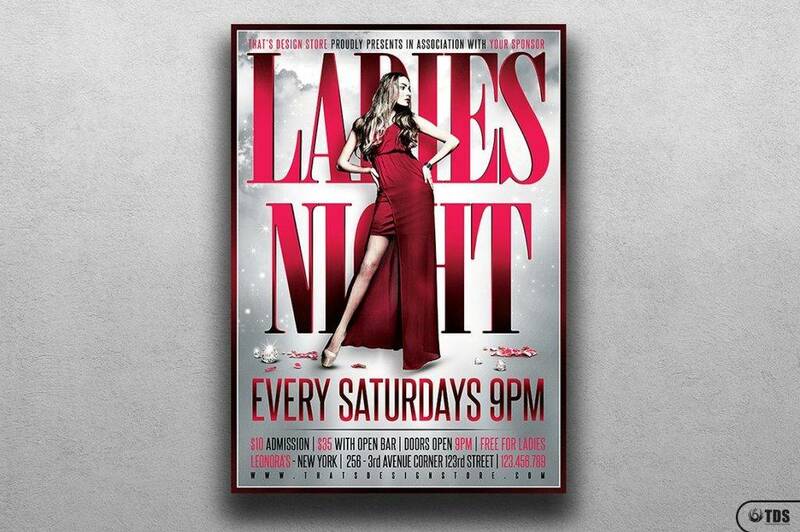 Upon hearing the word “ladies’ night,” you usually perceive this as a night spend in bars with some lights and drinks. Well, that is not absolutely the case. 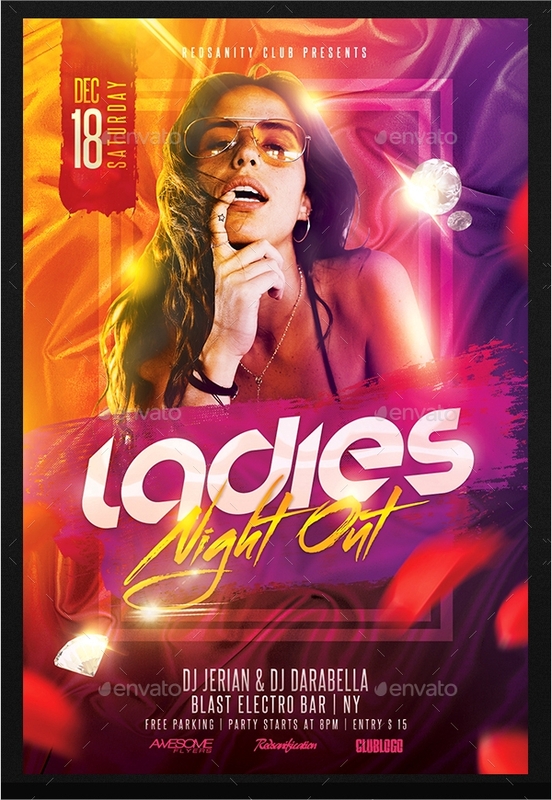 Yes, there might be ladies’ night out where the event is held in bars and pools or other party areas, but there are those that are held inside a hall or even just in one of the houses of the organizers. 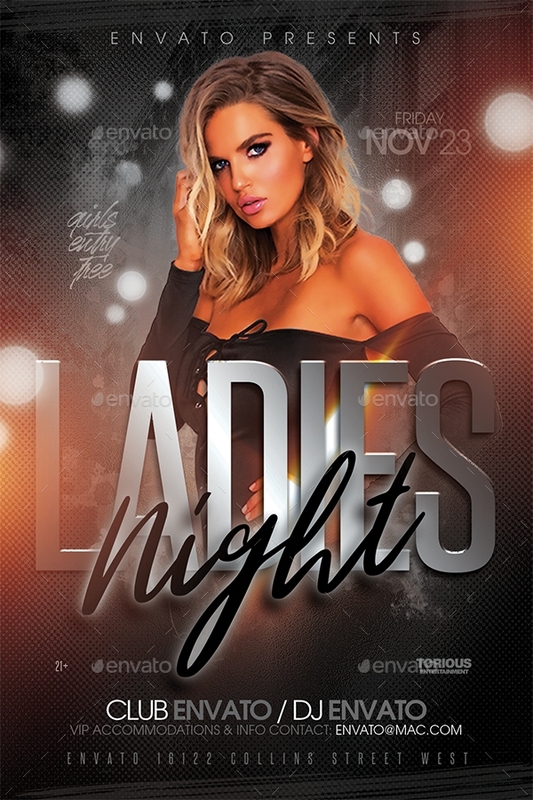 Whatever your perception about ladies’ night, you must broaden your mind, not only focusing the things and events held in public places for there are a lot more events and fun things to do on a ladies’ night. Below are few examples that you might want to try in your next ladies’ night. You may also see the movie night flyers. This is a common activity during a ladies’ night. Wines are being displayed for free tasting. However, this is not just for tasting the wines alone; this is also a great time to catch up with friends, share secrets with each other, reminiscing the past, talking about your lives now, your family, your other friends, your significant other, your work, your office mates, your health, your finances, and anything that concerns you and your friends. It is, therefore, a night that you can burst out what you have been feeling and have been keeping inside. You may also see the event flyers. You can also do arts and craft as most girls love these kinds of stuff. You can conduct your own workshop if you are confident enough or you can attend the workshops conducted by others. There are actually a lot of workshops you can organize: charcoal and graphite portrait workshop, painting workshops such as acrylic painting, oil painting, oil pastel painting, and watercolor painting, landscape workshop, calligraphy workshops such as brush pen calligraphy, pointed pen calligraphy, flourishes, gothic calligraphy, and script, crochet workshops, exploding box workshop, and a lot more. Just enjoy these short classes, and seize your ladies’ night. You may also see the advertising flyers. Baking also has been a trend for the ladies. Many would love to know the basics in baking, the materials, ingredients, and procedure. Spend the rest of your night sharing ideas about baking, and experiment on the things that you have been tried. You can also search for baking menus and practice what you have learned from your baking class. With this, you are somehow equipped with a skill that is said to be part of womanhood. You may also see invitation flyers. Although the tradition that women must do the cooking at home has already been considered as part of the history since the promotion of gender equality, many women are still into cooking. Even if you got a partner in life or not, you must know how to feed yourself. Not all the time you will be buying food from fast food chains or cafes. There comes a time when you want to eat a personally cooked food. And, this is the importance of knowing how to cook. Thus, a cooking class during a ladies’ night is a very good idea to have a productive night. You may also see the promotional flyers. You might also consider entering into a one-time dance class just to refresh your skills or to awaken your reflexes. Some would enroll in a dance class to learn the basics of dancing, a certain type of dance, or to explore the world of dancing. This is also a form of exercise especially when you have a very busy schedule and when you got no break from work. You can exhale those busy thoughts, crowded streets, and hectic schedule through dancing. Or, if you want to get serious about dancing, you may hire a dance instructor and continue the session on days other than your ladies’ night. You may also see the multipurpose flyers. A game night can be a very great idea, too. There are a lot of games you can play with the other girls. From physical to mental games, you can try them all. You can even play poker. For physical games, you can do sports like volleyball, basketball, tennis, badminton, dodgeball, and cricket. For the mental dose or those games that must be analyzed, you can play cards, puzzles, and brain teasers. Or, there are games which are just for pleasure like snakes and ladders and truth or dare. You may also see the business flyers. There are concerts that are organized solely for the purpose of ladies’ night. 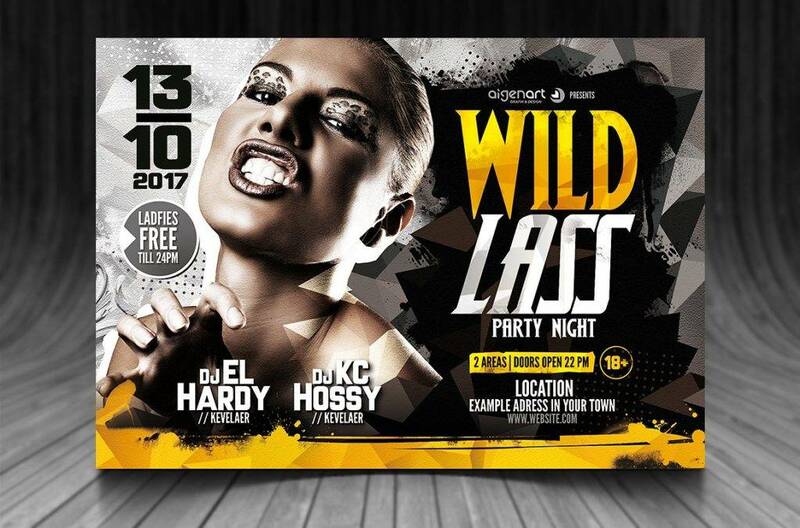 Organizers may hire a singer or a band that they think is popular among ladies so the ladies can fully enjoy the rest of the night. Wines and drinks may be served during the concerts; some would even offer bottomless drinks for a certain amount. There are light snacks, too. All of which is to savor the time being with the ladies only. You may also see the sports flyers. There are also ladies who are very fond of doing photo shoot in different places wearing different clothes and posing in different angles. You might also try to do this with your friends, but first, prepare the things needed for this like camera, a variety of clothes, accessories, light effects, enhancements, beauty kit, and the location or area for the shoot. Many would love this since they can upload the pictures on social networking sites such as Facebook, Instagram, and Twitter. You can even include behind-the-scenes photos for a much more enjoyable photo album. You may also see the fundraiser flyers. You can pick your favorite songs and sing them to your heart’s content. Or, you can let go any of your emotions through a song; whether you are happy, sad, brokenhearted, jealous, excited, overwhelmed, or anything, just sing your heart out. No one will ever stop you from expressing your emotion through a song. Hence, doing karaoke is one of the best things to do when you just want to explode. You may also see the minimal flyers. 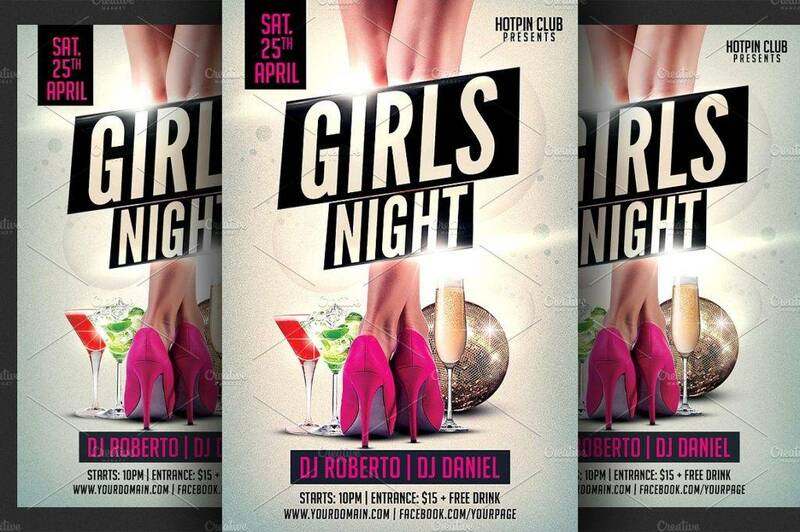 Organizing an event, especially a ladies’ night event, requires planning and preparation and proper dissemination of information to the target market. 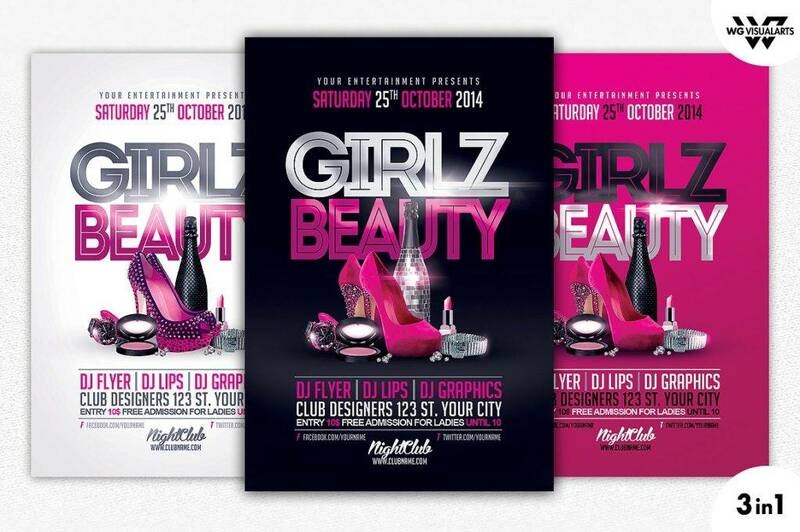 Flyers can be of big help in dispersing the information. It has been proven through time to be among the most convenient and less costly advertising tool, the reason why marketers still continue to use them up until today. 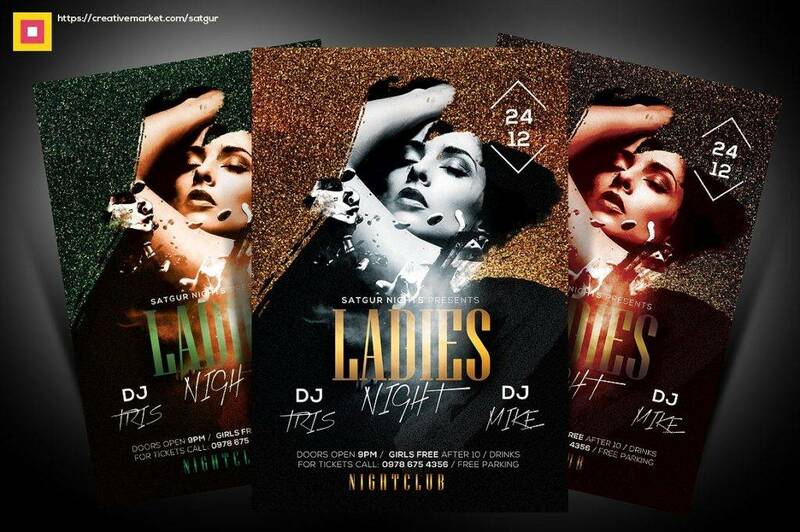 You may also see the club flyers. The ladies’ night event is fully packed with activities but is not limited to the following: wine tasting, art and crafts, baking class, cooking class, dance class, game night, concert, photo shoot, karaoke, play poker, sports night, and many others. There are actually a lot more to do in a ladies’ night. You can even go to your friend’s house and do a slumber party and call it a ladies’ night. 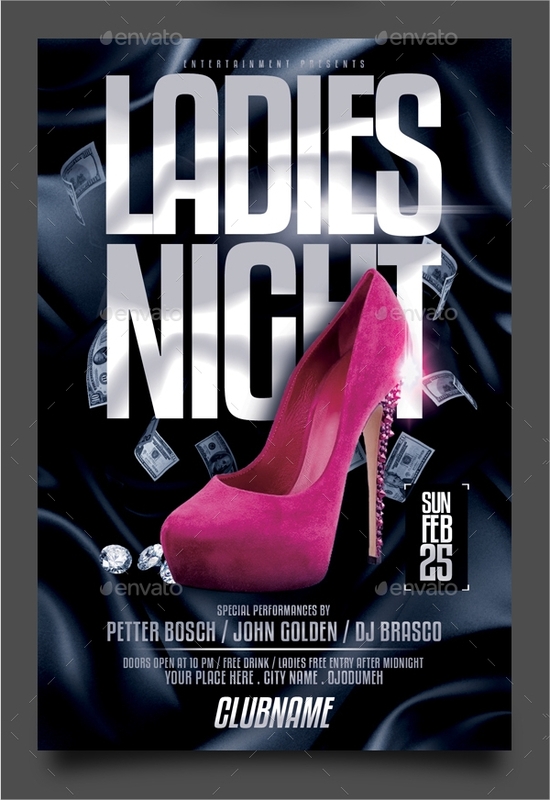 It is up to you and your girls to decide on whether you will be attending a pre-organized ladies’ night or you can create your own ladies’ night.You may also see the retro flyers.